If there’s one generic label guaranteed to make me run for the hills it’s ‘comedy-drama’. I wish people who apply the label would stop being disingenuous and just call out the vast majority of these films for what they are – unfunny comedies. Film-makers- in an absence of jokes from your comedy, fill your film with aimless whimsy, weird-looking actors, avoid much happening for the majority of its running time, toss in a couple of tears and arguments, then hey presto: your film is a nailed on Sundance smash and will be snapped up by Fox Searchlight before you can say ‘charmingly offbeat’. The only person who consistently makes good movies in the uninspired of realm of comedy dramas is Alexander Payne, perhaps because he infuses his films with a caustic wit that nicely counterbalances the sentimentality that so frequently drags down this genre, writes scripts that are actually funny, and, in perhaps his most overlooked attribute, makes films that actually look great, with a keen visual style. He’s never made a bad film, and I’m pleased to report that he’s extended his perfect record with THE DESCENDANTS. 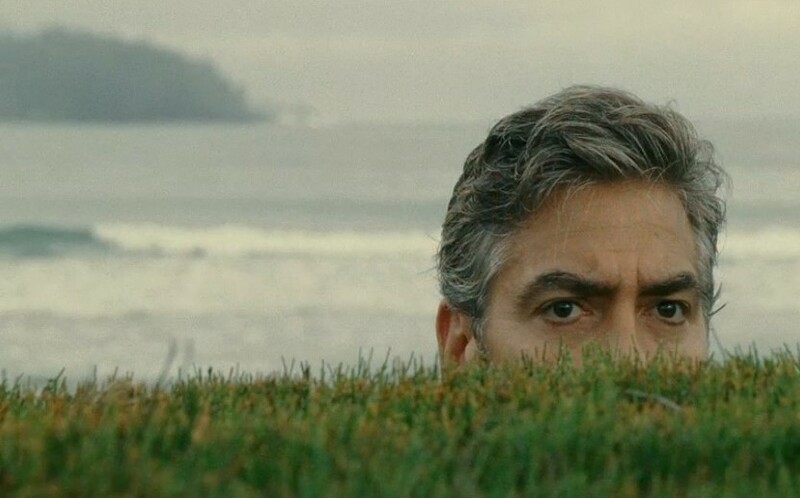 Clooney plays against type as Matt King, a workaholic lawyer living in Hawaii who, after his wife is put into a terminal coma after a speedboat accident, is forced to take an active interest in his two daughters for the first time. His youngest, a ten-year-old, is hyperactive and destructive, while his eldest, the 17-year-old Alexandra (Shailene Woodley), is an angry young woman, to put it mildly. As Matt attempts to prepare for a life-changingly lucrative land deal while preparing for the last few weeks of his wife’s life, he and his daughters are forced to address their family demons head on. That description makes THE DESCENDANTS sound pretty formulaic and trite, and indeed if I gave you three guesses at the ending you’d probably be able to figure it out. But the journey that it takes getting there is more unconventional – there’s a twist at the beginning of the second act that sets the film off down a different tangent than the ‘Clooney and his wacky kids’ plot we think we are heading down, and is all the better for it. There is a surprisingly sensitive and insightful assessment of familial grief alongside some wicked black humour. Payne is the master of making absolutely desperate and heart-breaking moments for his characters laugh-out loud funny, without ever betraying either emotional side for the other. He’s the perfect director for the material, providing some genuinely moving moments without ever descending (hey!) into schmaltz. The aforementioned keen visual style is also put to excellent use here, with some beautifully composed cinematography of some breathtaking Hawaiian scenery, alongside his brilliant eye for comic detail – everyone in Hawaii wears flip-flops, which leads to hilarious consequences anytime anyone has to run or chase something. The performances are excellent, with an eye-catching performance from Woodley as King’s abrasive daughter striking just the right note – this is a troubled teenager you can believe exists, rather than the door-slamming clichéd archetype the character easily could have been. There are great supporting roles from Matthew Lillard, Rob Heubel, and particularly Robert Forster, who is always fantastic. 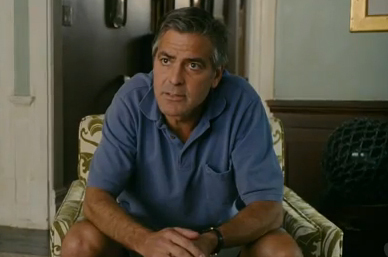 It’s Clooney’s show, though, and at first it’s weird to see him play the subdued, awkward type. He’s deprived of the easy charm and bravado that make him such a watchable screen presence, yet as he portrays a character who has metaphorically had the rug pulled out from him, this actually works in the film’s favour. It’s a great performance – understated, funny, and considered – and it’s hard to imagine another actor pulling the role off so well. THE DESCENDANTS is flawed – it starts very slowly, with a terrible, exposition heavy voiceover nearly capsizing the film before it begins. Also, while the lack of a more traditional narrative works out in its favour in the long run, there are sections that occasionally feel unfocused. This entry was posted in Alexander Payne, George Clooney, LFF, The Descendants. Bookmark the permalink.